Nice call with the bubbly Chew. No more Mister Evil! Woohoo! What a thrill to lie in bed this morning, watching and listening as the old dog was given a fine kicking, never to be Australia's big boss man again. 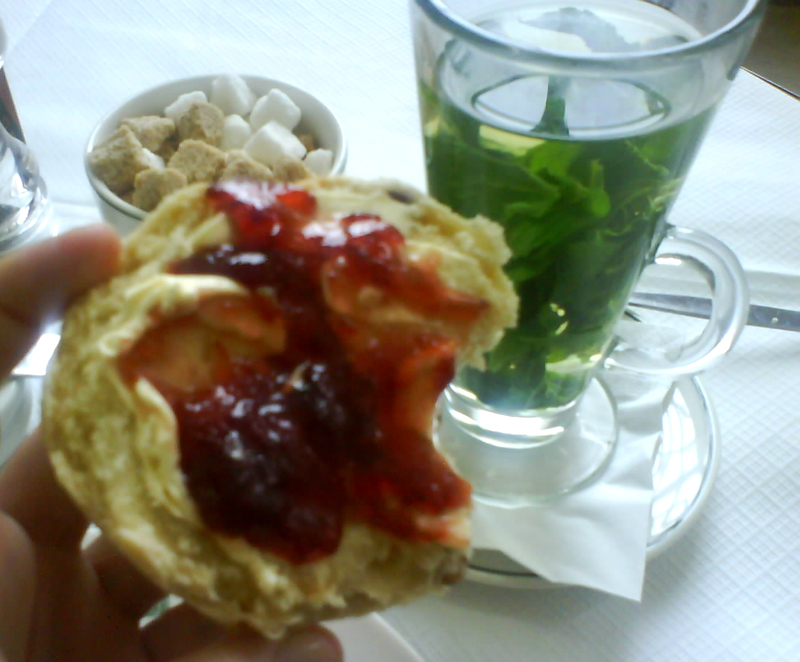 Even my recently apathetic heart danced with a lovely, sweet, sugary, jam and cream sort of joy. Which segues nicely into a much more appealing topic: high tea. My little sister visited in August and it became a sort of unofficial high tea tour of London. 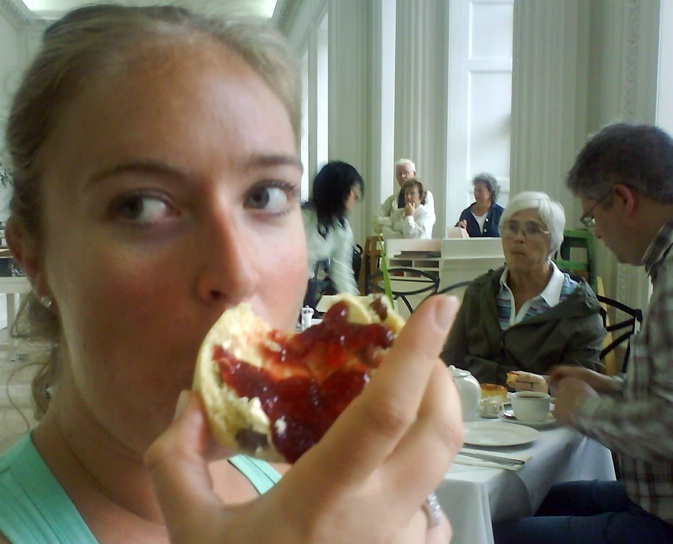 I've never come across someone so obsessed with a daily 3pm scone. First stop, the very conventional Kensington Palace as I'd read many an enthusiastic review of the Orangery. Their scones were nice enough - generously proportioned, heavy, not overly dry, with a big glob of strawberry jam and thick cream. The fresh mint tea was also super but the atmosphere was stifling and glum... a blue rinse would have looked positively lively in this joint. Still, the post-scone stroll through Kensington Gardens and Hyde Park made the location pretty choice. At the opposite end of the scale was Sketch Gallery, a Mayfair mash up of art, design, dining, drinking and intergalactic toilet pods. 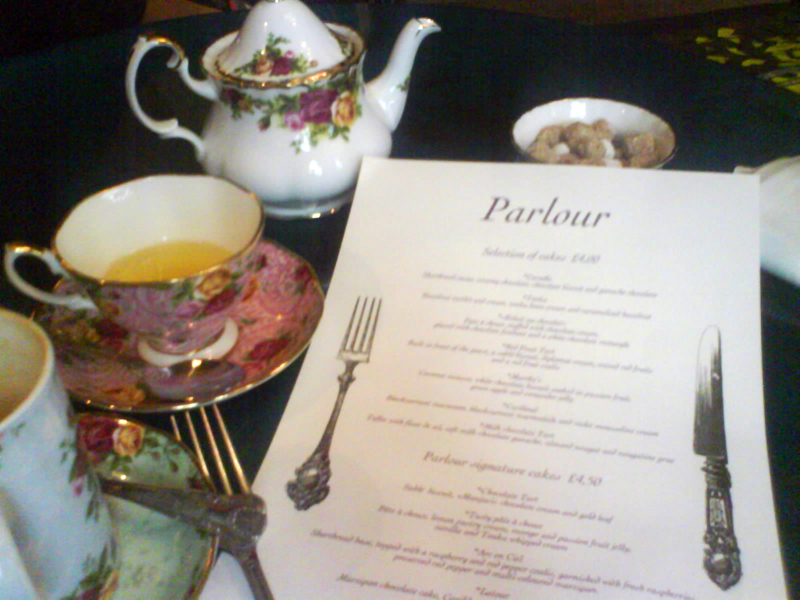 We took tea in the Parlour and I couldn't bring myself to scone it when there were so many delicious looking cakes on offer. I chose some sort of blueberry macaroon thingy. Absolutely divine, as was the pretty china it arrived on. And, if choosing just one sweet proves too difficult, Sketch will do up a pretty little take-home box of laters for you. Finally to Trafalger Square and the National Portrait Gallery's roof-top restaurant. Its view takes in all London's heavy hitters, like Nelson's Column, Big Ben, the Houses of Parliament and London Eye, which is just as well because you'll need something to feast on while you try and make the two miniature scones on your plate last more than two bites. More ridiculous is the fact that each comes with its own teeny weeny pot of jam. My tip is to bypass the dough in favour of a glass of wine.